On makexyz, you'll find 3D printers and makers near you to help you make something. This listing explains Jim's services. I have an Afinia H800 larger format printer capable of 8 x 10 x 8 inches in volume with the same great quality as my H479 printer which can print 5 x 5 x 5 inch volume.. Please state up front if you have a computer model for the part or if you will need my help in creating it. Upload the file or a photo or sketch, since a picture is truly worth a thousand words. If you are considering hiring someone to design or print your idea, look at my reviews as evidence of my customer focus. 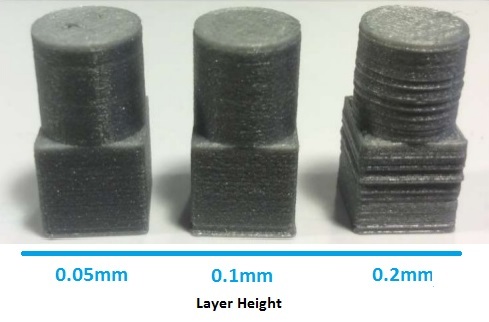 3D Printers of the Fused Deposition Modeling type, which includes almost all hobby printers and many commercial printers, can only resolve features in two directions to about 0.5 mm in size. 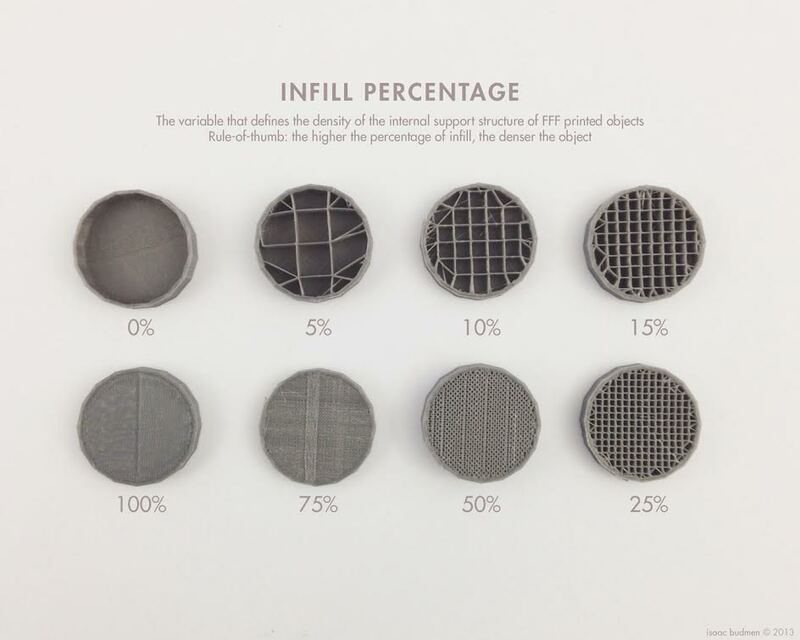 The layers can be grown in 0.10 mm accuracy. So the appearance and accuracy of the part is heavily dependent on the direction it is grown. That is why I need to know something about the application. When submitting a file for quote, please specify color material desired, note any critical functional dimensions or features, and any surfaces that might be cosmetic. Give me some idea of the size of the part since I have had STL files sent to me where the scale was wrong and I did not see that when bringing it into my machine software. A part with significant overhangs or thin sections may be challenging or lead to damaged parts. Let me know if you need the part printed with max infill for strength or mostly hollow for lowest cost. In addition to the colors listed on this site, I also have orange, flesh color, yellow, gold, silver, brown, a white which turns red when exposed to sunlight, and an off-white filament that glows green in the dark after being exposed to light. The printer will duplicate model errors, so we will want to check for those before printing. I have learned a lot about 3D printing and I can help you achieve success. I am a recently retired mechanical engineer by training. Please describe your application so I can ensure that the print meets your needs. I can make everything from custom toys to the Rasberry Pi case or replacement Solidoodle parts shown in the photo examples. I can also change colors in the middle of a print with some control to allow some interesting features. I recently printed a human face created by 123D Catch on an Ipad from a series of photos. The print shown is painted (painting not included). If you need me to create a design, provide a sketch or photo of what you may be looking for, if possible. I can create replacement knobs for appliances like the one pictured, although making it more cosmetically appealing can take longer to create than the functional one shown. Jim is extremely customer focused and a consummate professional. His excellent reputation at makexyz is well deserved. He responds promptly to inquiries, and communicates effectively and efficiently. We ultimately chose Jim not just because his quote was the lowest we received, but for his commitment to professionalism and quality, regardless of the order size. We hope to have need for 3D printing in the future, as we would absolutely look forward to using Jim and JMS 3D printing services again without hesitation. Why buy your own 3D printer when you can get great fast service and low prices from Jim? I had 6 parts made and the quality was beyond any normal 3D printer I have seen. And some of these pieces had to fit snugly with a metal hotend. Perfect fits. And Jim even gave me a lower quote on the service than the makexyz.com forms allow. Custom quote, custom parts, low prices, and quickly put in the mail: Wow! Jim did a GREAT job!!! I could not ask for a better finished project. The price was Very acceptable, and the finished object looks just like the original piece. I am thrilled with the work he did for me, and I would not hesitate to bring more jobs for him to do. Thank you, Jim for a GREAT job, and thank you MakeXYZ for bringing us together. I am totally satisfied with this project. The quality of Jim's work was superb. His thoughtfulness and attention to detail was a very welcome treat. He went the "extra mile" and sent me suggestions on how to save money on the print. I can't recommend him enough. You will be impressed with his work. If I ever use a 3d printer, it will be Jim. Jim was awesome. He made a product for me without much specific guidance from me at all. It did not turn out exactly the way I imagined, but he really did try, and it was an intricate design that he had to modify. I would definitely use his services again if I wanted something made. Had a small project to reproduce OEM patio table tabs that fail overtime and I can no longer procure. Jim was able to reproduce the tabs in ABS for a reasonable cost. Jim is exceptional (professional) to work with and if I have future projects I will surely contact Jim for the project. I am totally new to 3d printing and only spent about an hour on sketchup before sending my model to Jim. He promptly responded and helped me correct many issues i had with my model. Overall great experience, a learning one at that. Definitely will repeat business! Good stuff Jim. Jim did a great job and was very attentive to detail. He emails you back and forth very promptly to make sure the product is what you want. My order was printed and shipped within about 24 hours. I was very impressed by the prompt, professional, and courteous service. I got quotes and advice from a variety of manufacturers. While many offered good advice, Jim really filled in the holes for me, making sure the pieces all fit and worked as expected. He communicated well and I look forward to doing more work with him.